After spending more than a week mostly in heels, here is an outfit in flats! This is what I wore on my last day in New York, while I was doing some last minute shopping. Gorgeous laid back look, love the dress ! I LOVE Reed Krakoff bags!!!!! I love the cut of this dress! You look comfortable yet put together. 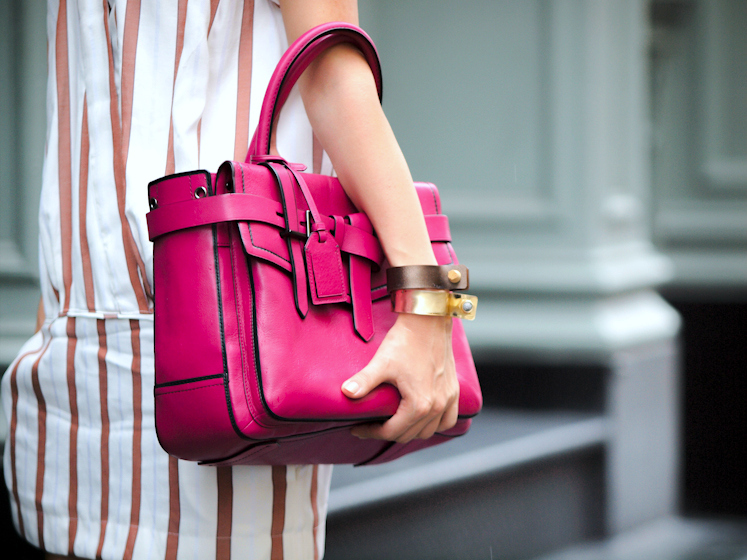 Love the berry color of the purse! I cannot take my eyes off that bag… it’s STUNNING! Lovely simple look! Love love love the Chanel espadrilles!!! simple but effective look ! I love the dress. It looks divine with the bag!